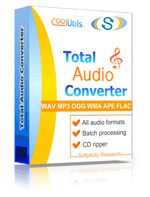 Transform RM to WMA audio files online and for free! Try a RM to WMA Online Converter or take a batch App for quick use! Description RM extension is related to RealNetwork software. File in RM format contains various media content or a link to a streaming media file that can be played while being downloaded. Online radio-stations, media portals and internet TV services often use this format for streaming their content. This format is supported by mobile devices working on Android or iOS. RM file can be re-coded to other file types with the use of Adobe Premiere, RealProducer Plus and other programs.